Coach Allison was born and raised in the U.S. Virgin Islands and relocated to Fort Lauderdale in 2009 with her family. Allison pursued a Bachelor’s degree from Duke University. Allison is a wife and mother of two, she first learned of Swim With Mr. Blue when she was a parent volunteer for Swim Central when both of her children participated in it. 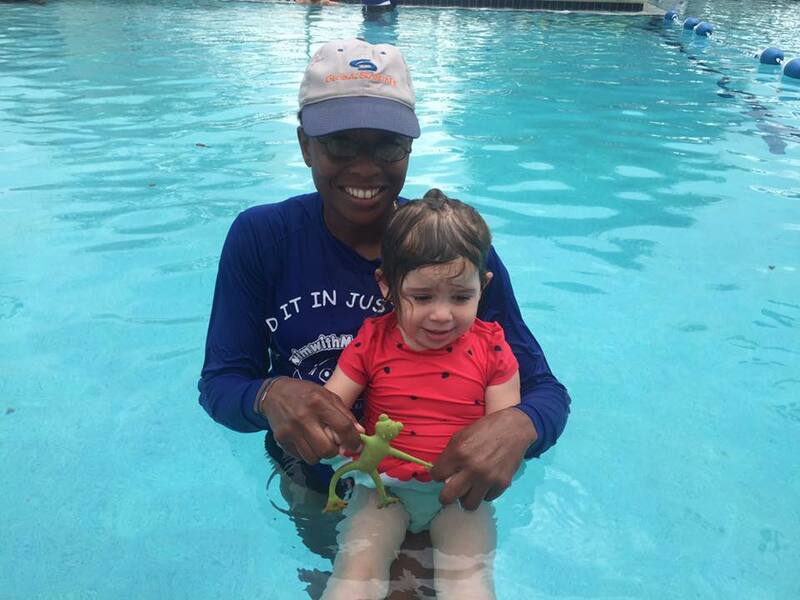 Allison started working for Mr. Blue in 2011 and worked her way up the ranks and is now an instructor and summer Pool Supervisor for our Plantation location. Allison loves working with children and believes in the Swim With Mr. Blue program as she has seen it work for her own children as well as all children that walk through our door. Coach Allison is located at our Plantation location and you can sometimes catch her at our Margate location.